It wasn’t that long ago we waited days to get our pictures back from the lab just to see that our lighting was wrong or we inadvertently cut off someone’s head in the shot. And there was no Photoshopping that! It seems like yesterday I begrudgingly traded in my film SLR camera for a fancy DSLR camera, which is coming close to being replaced by my phone! Honestly, I have used my DSLR camera twice in this summer. Twice! 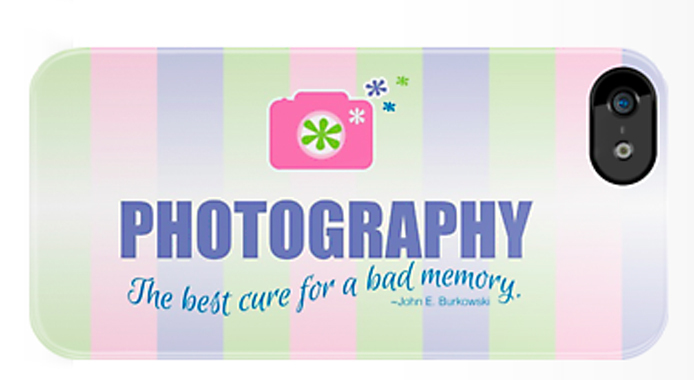 I don’t know about you, but I have also traded in scrapbooking for Instagram when it comes memory preservation. Maybe it’s been Facebook for you? Shutterfly can connect to my Instagram account (Facebook too) and create a sweet little photobook for me at the end of the year. Seriously. Today is World Photography Day, celebrating 175 years since the first permanent photographic process was patented on August 19, 1839. Photography has changed since 1839…just a little *wink*. It has given the birth to the Selfie (like it or not). Photos today are tagged, hashtagged, Liked, and go viral. They are shared instantly and open for critique, good and bad. One thing that hasn’t changed: We take photos to record our life…right where we are. I take photos of the beauty around me, silly selfies, a lot of Starbucks drinks, crafts, my family, everyday life, food, my dogs. I bet you do too. Happy Birthday to the art of photography! May it keep evolving.